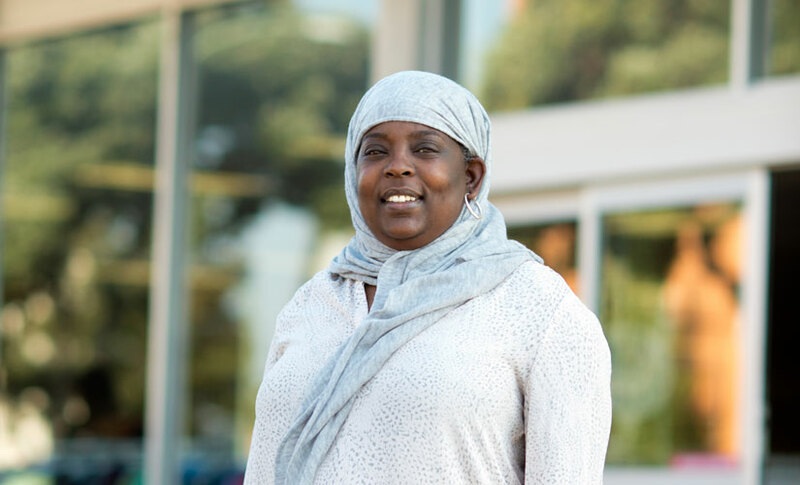 Goodwill Industries of the Greater East Bay provides workforce development services, including job readiness training, and job placement, including transitional employment for residents of Alameda, Contra Costa, and Solano Counties. This program offers individuals who are job ready with more advanced job search support and services, such as resume preparation, mock interviews and direct referrals to employers we have a relationship with. We currently operated four Career Services Centers in Oakland, Antioch, Cordelia, and Vacaville. Coming soon to Concord. Families Actively Engaged in Meaningful Employment (FAME): We began our FAME program in 2014. This program is focused on engaging individuals receiving public assistance and needing to complete mandated job activities as determined by federal and state requirements. A monthly sample of individuals not completing their required hours are reported to the State and then the County. Once they are identified, they are referred to our program. FAME provides case management, subsidized transitional employment for up to 30 days, and job search assistance for individuals wanting to engage further. FAME serves 100-150 individuals annually and places 15-20% of these individuals into competitive employment. Given that this program is tied to only 30 days of employment, further engagement continues to be a challenge. AB 109 “Bridges to Work”: In 2011, Assembly Bill 109 (AB 109) was passed and transferred responsibility for supervising certain kinds of felony offenders and state prison parolees from state prisons and parole agents to county jails and probation officers. Most counties decided to contract out these services to local community providers. Goodwill was awarded a contract for Central Contra Costa County and now has expanded into East County. AB 109 provides for case management, life stabilization, behavior modification services, re-entry support, and job training, placement, and retention services. We serve 100-125 individuals annually in this intensive program and will increase this to approximately 180-200 with our new contract. Our job placement rate is approximately 40-50% for this program. Subsidized Temporary Experience with Pay for the Underemployed Program (STEP-UP): In 2012, we began providing STEP-UP services to those receiving public assistance through CalWorks. The program provides subsidized, transitional employment for up to 180 days. Participants also receive case management, job readiness instruction, computer literacy, and other services needed to prepare for the job market. STEP-UP serves 400-500 individuals every year and places 10-20% of these individuals into competitive employment. The recent addition of an outreach specialist and job developer on the contract is anticipated to result in higher competitive placements. We’re continuing to look into new opportunities in Alameda County that would support the county’s goals of putting more people to work.